Algonquin Bound has long been a great source for fishing Algonquin Park. 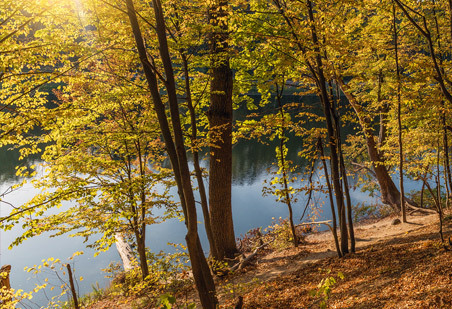 Trying to pick the top lakes and streams in the park and surrounding area is no easy task. There are hundreds of great destinations that offer everything from Algonquin Park lake trout and brook trout to smallmouth bass and walleye. 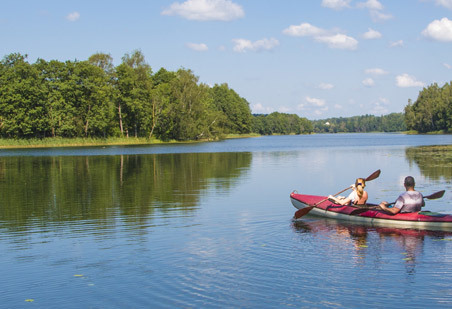 What is listed below are a few of the better known lakes and rivers we service. As always, be sure to check the fishing regulations for before heading out. 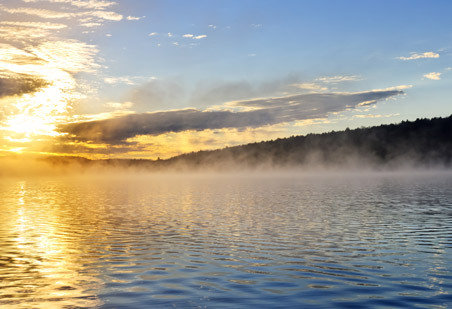 Aylen Lake is one of the largest lakes in the Algonquin Highlands area and is a great nearby fishing spot to the northwest of Madawaska. Fishing in the lake can be good for smallmouth bass to 2 kg (4.5 lbs). There is also a natural strain of lake trout present. Algonquin Bound provides delivery service to the park access point on the lake's southwestern shore. In summer, jigging with Berkley Powerbait off Big Green Island can be very productive for smallmouth bass. Watch for special regulations on the lake. 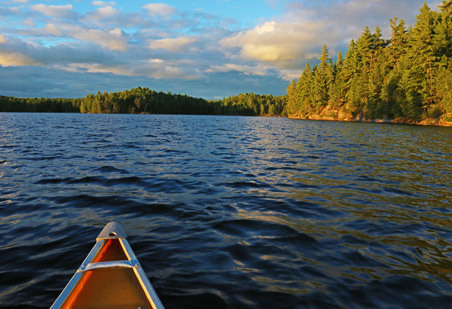 Regarded as one of the most picturesque Algonquin Park interior lakes, Booth Lake will not disappoint. There are over a dozen interior campsites available, including scenic beach and island sites strategically scattered around the lake. Fishing in Booth Lake can be productive for Algonquin Park lake trout and brook trout in spring. As summer approaches, fishing can be quite good for smallmouth bass that are reported over 1 kg (2 lbs) on occasion. Try in the many bays of the lake or deep holes off rocky points. These three lakes are easily accessed from the Algonquin Park Shall Lake access point. There are interior campsites on all three lakes, as well as designated paddle-in sites on Crotch Lake. 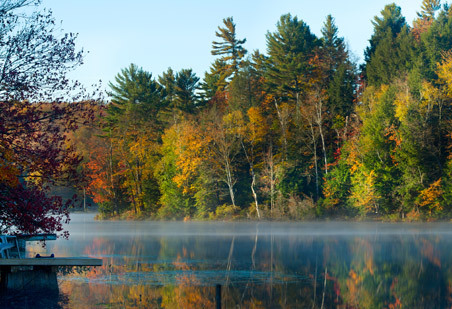 These lakes make the perfect day or overnight destination. Fishing can be good for northern pike that are most predominantly found in the weedier sections. Smallmouth bass are also widely available and anglers report fish over 1 kg (2 lbs) on occasion. Lake trout are best found in the spring. This beautiful lake is one of the access points to the interior of Algonquin Park's southern panhandle. Algonquin Bound provides delivery service to the Whitney area and beyond. The lake is quite large and is inhabited by lake trout, smallmouth and largemouth bass. Bass fishing is fair to good throughout the lake for bass caught up to 2.5 kg (5.5 lbs) in size. Fishing for lake trout in Galeairy Lake picks up in late winter/early spring. Lakers can be found in excess of 75 cm (30 in) in this Algonquin Park lake. Easily accessed from the Achray Campground, the old Canadian National Railway bed travels along the entire length of Grand Lake. The railway crosses the lake south of Kennedy Bay, while the beautiful Carcajou Bay south of the campground is the backdrop to the famous Jack Pin & Tom Thomson painting. Grand Lake offers fishing for lake trout, smallmouth bass and brook trout. The best action is for bass, but occasionally the trout can create a frenzy of action. Lake Louisa is one of the larger lakes in Algonquin Park's southern interior. It is just far enough away from the Galeairy Lake or Rock Lake access points to create a good fishing and canoe trip destination. 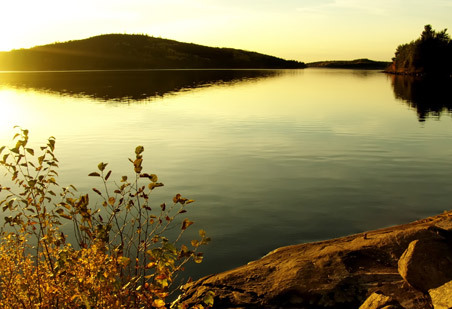 The sheer number of Algonquin Park interior campsites can attest to the popularity of the lake. The scenic lake has been known to offer up lake trout that grow to 55 cm (22 in) on occasion. If you are looking for a good three day trip in spring, Lake Louisa will rarely disappoint Algonquin Park anglers. Lake Traverse marks the transition from highland lakes in Algonquin Park’s western side to the lowlands of the eastern part the park. In addition to decent fishing, one of the notable features of the lake is the massive radio observatory dish that is still used by scientists today. Anglers will find smallmouth bass, walleye, catfish and muskellunge. The fishing for smallmouth bass can be very good at times, while the ever elusive walleye and musky prove more of a challenge. 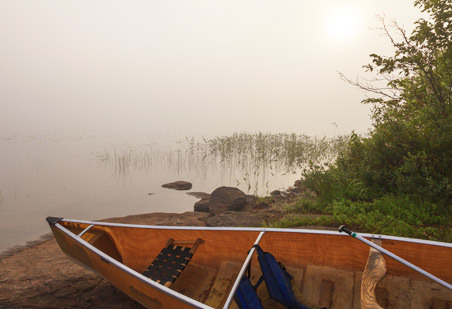 This scenic interior Algonquin Park lake has a number of nice campsites to choose from. Mainly visited by anglers in spring, fishing can be good for nice sized brook and lake trout. 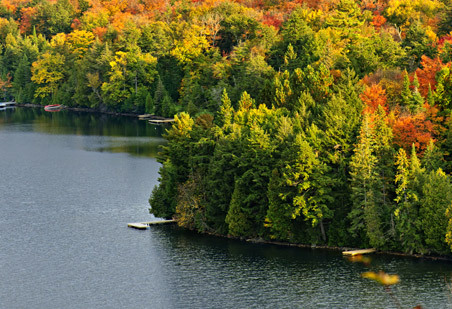 Spring is the most productive time of year to plan an Algonquin Park fishing trip into this lake, however the last few weeks of September can also be quite good. Found a few portages beyond Shirley Lake, let Algonquin Bound be your Algonquin Outfitter for access into this remote fishing lake. 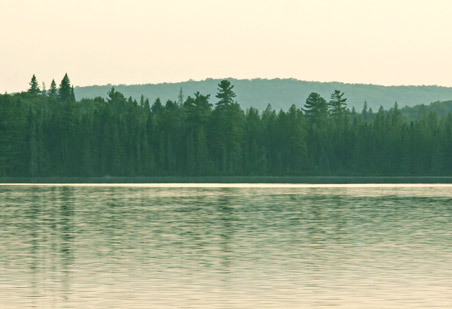 Opeongo Lake is perhaps Algonquin Provincial Parks most popular destination. 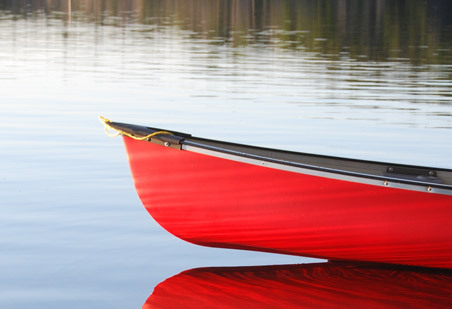 Considered the gateway to the interior of the park, thousands of Algonquin Park canoe trips begin here every year. It is the largest lake in the park and anglers flock to Opeongo for its legendary lake trout that are found up to 80 cm (32 in) in size. Smallmouth bass are very active in the summer months and can be caught over 1.5 kg (3.5 lbs), while whitefish are a good alternative when lake trout action is slow. Found just beyond Shirley Lake to the north of the Shall Lake access point, Ryan Lake can be busy on summer long weekends. The lake has several Algonquin Park interior campsites and is stocked with splake that can be found to 50 cm (20 in). Fishing on this Algonquin Park lake in the spring can be very good using a Little Cleo or William Wobbler. Algonquin Park anglers can also find descent success using Berkley Gulp throughout the year. Sec Lake rests just inside the park borders along the road to the Barron Canyon. The Mallard Lake Access Point provides good access to this area. Eastern Algonquin sport fishers will find a wide range of species to test their luck in Sec Lake. Lake trout, northern pike and smallmouth bass are all found here with the best action being for pike and bass. The pike are scrappy, while smallmouth bass can reach 2 kg (4.5 lbs). 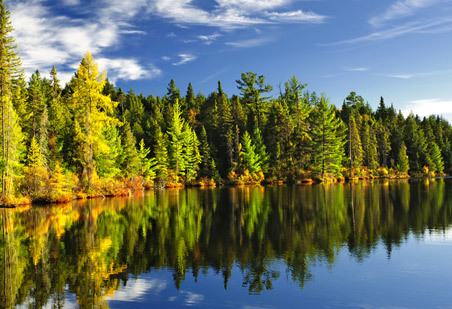 Once the home of an active logging operation, Shirley Lake is now a scenic Algonquin Park interior lake destination. 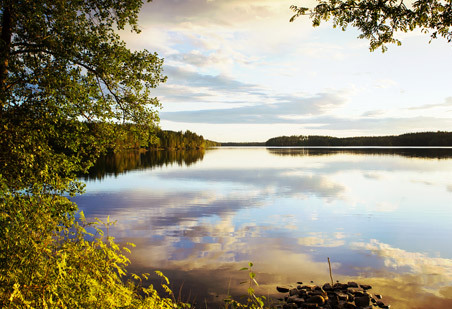 Found north of the Shall Lake access point, there are nine wilderness campsites on the lake. Anglers report the odd lake trout to 65 cm (26 in) with the best action occurring in spring when the trout are closer to the surface. At this time, a Little Cleo or Apex lure can entice one of the bigger lake trout into striking. Be sure to stop by the Algonquin Bound store for the latest hot lure. Resting a good distance from the nearest access point, White Partridge Lake is one of those lakes worth the effort to visit. Fishing can be good at times for both brook and lake trout. There are also some big fish here, with brookies found to 45 cm (18 in) and lakers up to 65 cm (26 in). 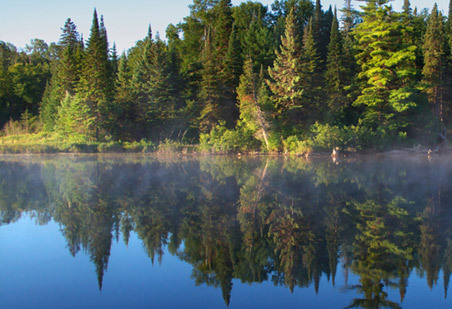 There are six interior campsites scattered around this remote Algonquin Park lake.